First of all I cannot believe I'm posting this horrible picture lol! But bear with me as this was super early in the morning and I didn't feel too great! 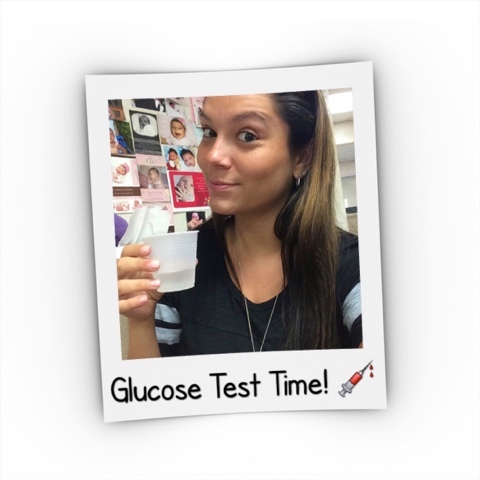 This post ended up being kinda long, so in order to not flood my main page, click "read more" below to read all about my experience and see the little Q&A I put together about Glucose Testing! It seemed like every doctor had a different answer/preference to what you should do before your glucose test. Personally I was told at my office to not have sugar or carbs that morning. Anyway, I stopped with the sweets at around 6:30ish that night, I had a Coke with my dinner. At around 9:30ish I got hungry again so I had a beef noodle soup from Campbell's with water. Throughout the night I woke up several times, to use the bathroom and just because I have been waking up to her kicks lately, I was actually awake for a good 2 hours from 3AMish to about 5AM, I stayed in bed and browsed Buzzfeed lol until I fell back asleep. I woke up at 8AM and decided that I should eat something, so I ate 3 boiled eggs, egg whites only because I don't like yolk lol and 3 strips of bacon that I crisped so hard so all the fat would dry up! That's how I like it. So I basically felt like I had to shove the food down my throat, I just felt sick! I usually always give myself at least 1 hour in the morning before I eat something, I've just never been able to eat right away without getting sick in the morning. I packed a Snickers bar, some Sea Salt Popcorners and a bottle of water to snack on right after the test and I'm so glad I did! More on that soon.. I get to the doctors office and after waiting for what felt like forever they finally called me back to the lab to do my test. They weighed me and took my blood pressure and asked me what flavor drink I wanted, I told them lime. The drink itself was not terrible, instead of the whole bottle, they only had me drink a cup full, look at the pic above to see the size of the cup, it was filled to the tip top, but still, I was so happy I didn't have to drink that whole bottle! I brought a straw and everything, the nurse laughed at me, but I highly suggest it! I ended up not using mine since they gave me a short cup, but you better believe I would be using my straw in that bottle! The drink was chilled, thank goodness and the lime flavor tasted like really thick syrupy flat Sprite. It went down pretty easy, besides the one big chug I took that made me choke, lol take your time! After that I waited the hour in the lobby, went back to the lab and they took about 3 vials of blood. I went to the lab myself after the 1 hour, don't wait for them to call you, seriously, just go back there! Unfortunately they have to call me for my results, so I don't know if I passed or not, boo! I'm hoping I did! Fingers crossed!!!!!!! 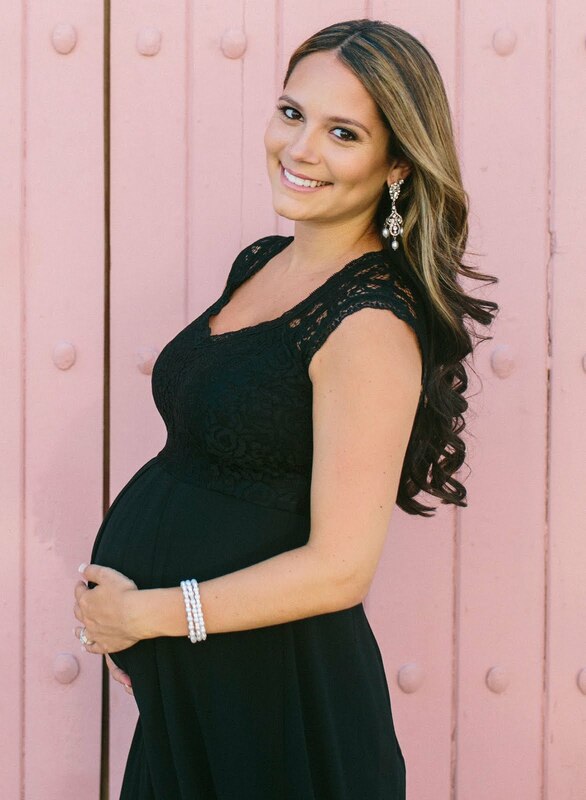 Now for the Q&A I put together to hopefully help you first time mamas like me who were scared and didn't really know much of what to do before your Glucose Test! When do I have to take the glucose test? Between 24-28 weeks of pregnancy. I was 28w4d. The test checks for gestational diabetes. The test might be done earlier if they find you have high glucose levels in your urine when you go for regular check ups. What should I eat prior to taking the test? It all depends on what your doctor tells you. Some doctors make you fast 12 hours prior to the test, some tell you to stop eating 2 hours prior to the test, some say eat regularly, and some tell you what to not eat. In my case, I was told to not eat sugar or carbs the morning of the test. Make sure to ask your doctor so you know exactly what he/she wants you to do. What flavors of the drink are available? In my lab I had the choice of Orange, Lime or Fruit Punch. Those are basically the only 3 flavors I have heard of. I chose the lime and it tasted like flat, thick syrupy Sprite. I have heard that the Orange tastes like flat Orange Sunkist and the Fruit Punch tastes just like flat Fruit Punch! Beware though that any flavor you choose is extremely sweet, and like I described, thick and syrupy. How fast do I have to drink the glucose drink? They never gave me a specific time frame, but you can't take 10 minutes. Take sips and next thing you know it will be gone! Just don't try to take a huge sip like I did, the sugar was overwhelming and make me choke! 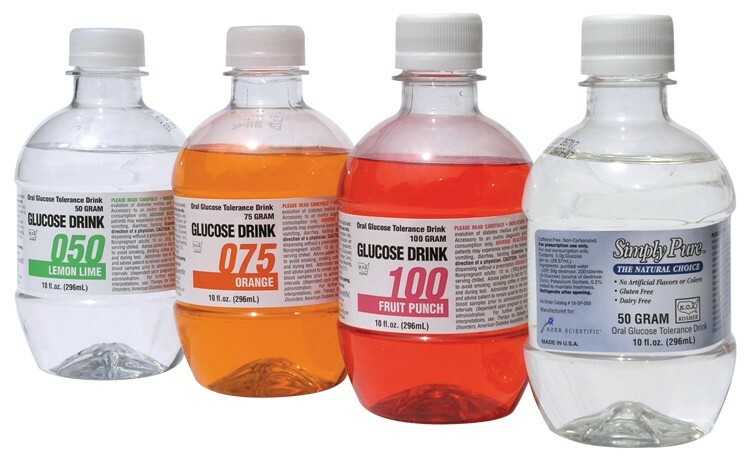 Can I eat or drink anything after drinking the glucose drink? No! You can't have anything! Not even water! Its torture. How will I feel after drinking the drink? I was so nervous I was going to throw up, but I didn't! To each their own, and I can only tell you MY experience, but I did get a bit dizzy 10-15 minutes after drinking the drink, then when it was close to one hour I felt sick to my stomach, my palms were getting sweaty and I was shaky, I couldn't wait for them to take my blood already! What should I bring to the test? Snacks! Definitely pack snacks! I was so glad I did!!! I think I would have passed out if I didn't have something to snack on right after. I would say take a salty snack, a sweet snack and water. I took a Snickers bar, Sea Salt Popcorners and a bottle of water, then I got Chick fil A right after I left the doctors. How much blood do they take? They took 3 vials from me. I don't think they take more than that, but don't take my word for it because again, every doctor is different! What else do they do besides taking your blood? I did my regular labs, urine, and they weighed me and took my blood pressure prior to taking my blood and also prior to me drinking the glucose drink. Do I get to see the doctor too? I did! I did my test at my OBGYN's office, not a separate lab, so I had a normal appointment. They measured my belly for the first time and I got to hear the baby's heartbeat. How long will it take for me to get the results? I think that depends on your lab. I've heard of people finding out right away, in my case I have to wait until they call me to let me know. What happens if I fail the first time? Then you have to retake the test. The second test is longer, and your doctor will give you specific instructions for the second time around.